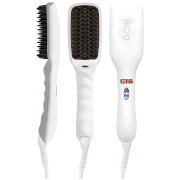 Reveal sleek and straight locks with the ikoo E-Styler Bali Breeze. 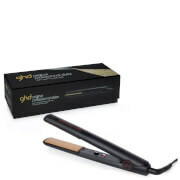 Designed to simultaneously brush and straighten hair, the straightening brush is constructed with 37 individual ceramic plates, which ensure even heat application to hair without the need for any additional styling tools. The styler’s bristles glide through hair with minimal resistance, delivering tug and pain free styling, alongside straight and shiny results.